Inside Nape Printing – what is it & why do I need it? Inside Nape Printing is simply the process of removing the label or tag from your garment and replacing it with a screen printed tag with your logo or content on it. At Calder Screen Print we are experts in de-tagging stock garments and printing your logo or other information along with the required care instructions for your garment as well as it’s size in on a label on the back of the neck. 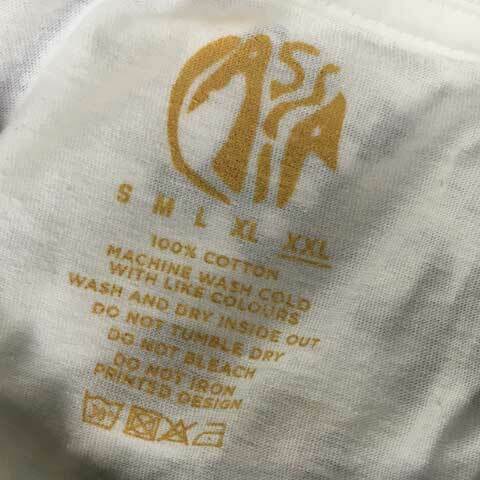 This creates your unique, branded garment rather than “just another garment”! Make sure your brand stands out from the crowd with Inside nape Printing from Calder Screen printing. Simply call us on 01422 377799 for helpful, freindly advice on the best inside nape printing option for your own brand garments.